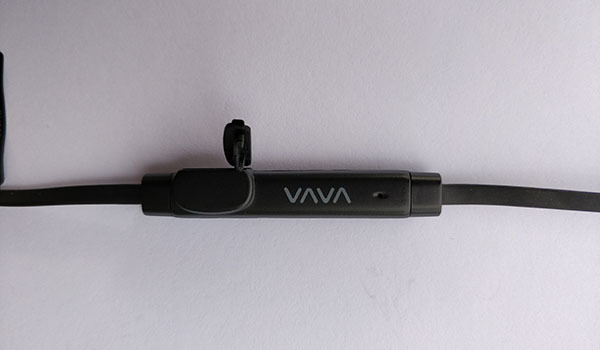 VAVA Moov 28 Review - The Best Bluetooth Earbuds on the Budget? 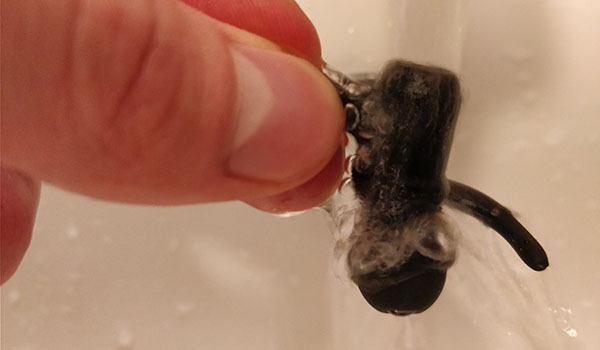 VAVA Moov 28 are one of the best (cheap) wireless workout earbuds with water-protection. Great budget Bluetooth earbuds for working out or any other sports activity. 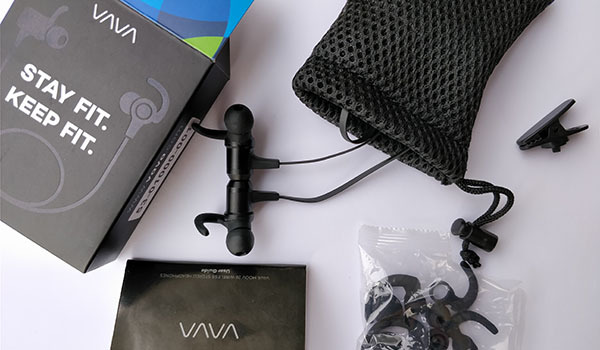 VAVA Moov 28 is the best choice for Bluetooth sports earbuds if you have little money. These are Bluetooth, waterproof (IPX6) earbuds with a stable fit and decent sound all for a super low price. Stable fit for all kinds of sports. The whole thing comes in a very small package, but because the earbuds are small and light that’s not surprising. To get a good fit you need to find the right combination of ear tips and ear wings for your ear size. The standard 3 sizes will match most people’s ears. You can easily use them for any sports or workouts. They don’t fall out. The ear wing design has been proven to work great for sports. Passive noise isolation is good as well, once you find tight fitting eartips for your ears. You might have to use smaller, looser eartips if you need to have situational awareness. It is useful when running outside on the street where you need to be careful about the traffic. Good comfort for long workout sessions. The earbuds are quite long and stick out of your ears in a funny way. But that’s normal for wireless sports earphones. You can’t exactly sleep on the side with them but are otherwise comfortable. What’s important is that you barely feel them on. They’re very light and don’t have any irritating faults. As long as you get used to the ear wings, (which you don’t have to use if you don’t want to), you can wear them for hours without discomfort. To make them even more comfortable, you can always swap silicone tips for some Comply foam tips. You can wear them for hours without discomfort. Excellent durability, quality materials, and IPX6 design. 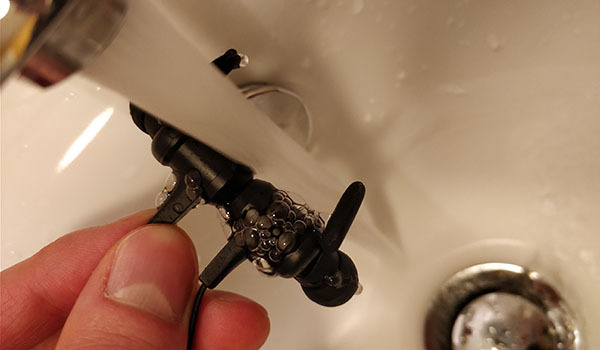 Immediately after taking them out of the box, you’re surprised these are budget earbuds. They don’t look cheap. The materials look and feel high quality. Sturdy in-line remote with solid “clicky” buttons, flat rubberized wire, and light aluminum casing. The right and left buds are visibly marked. You can wear them as a “necklace” by connecting both earbuds with magnets. A lot of latest in-ear headphones offer that nowadays. It’s useful. Now about sweat-resistance… VAVA Moov 28 are IPX6 rated which means they can survive splashes of water. Possibly even a shower, though we didn’t try that. We did, however, wash them under tap water and they still work like new. In any case, you should be confident these are perfectly sweat resistant, and you can easily use them in rain or other extremely wet conditions. Just don’t use them underwater for long, they’d probably die. Overall, very good durability with good water protection. These are perfect for any sports or near water activity. The in-line remote and microphone are well designed. Easily clickable buttons control the usual functions of play/pause, on/off, song selection, calls, and volume. The buttons offer good resistance, so you know when you click them. The mic also works very well and is very easy to use for calls. No distortion or unwanted noise as it uses CVC 6.0 noise cancelling technology for calls. Good battery life with average Bluetooth. Connecting the Moov 28 is very simple, just like with other modern Bluetooth 4.2 devices. Once your music device (smartphone, tablet, MP3…) remembers the earbuds, it’s as easy as turning them on and you’re automatically connected. You can connect 2 devices at the same time. The range is the standard 33ft (10m) in open space. Though the moment a thicker wall comes in between you will get distortion of the sound. This is a problem of Bluetooth technology more than Moov 28. Keep your music device close nearby or in the same room and you’ll get reliable Bluetooth connection. The battery is surprisingly good. I don’t know where they’ve hidden 8 to 9 hours of battery in such a small package. But that’s the convenience of modern technology. The battery charges up quickly, in around 2 hours which gives you max 9 hours of playtime. If you’re a bit lazy like me, you can plug it in overnight, and you can be sure you’ll get a full battery the next day. The charging is done via a micro-USB cable that you get in the package. Unfortunately, when charging, you can’t use the wireless earphones. They just don’t power on during charging. The sound tones and small LED indicator show what state earbuds are in. Microphone quality is good and people won’t have any complaints talking to you. Good audio quality for budget sports earphones. VAVA Moov 28 support aptX codec which means you’ll get better sound quality if your music device supports it too. Unfortunately, it doesn’t support AAC (advanced audio codec) in case you’re using an iPhone. Now before we say anything else keep in mind these are cheap Bluetooth earphones for working out so you can’t expect top of the line sound. Compared to other cheap wireless headphones these sound pretty good. Most users will be happy, especially for such a small price. They can get quite loud, have clear highs on lower volumes, decent mid-range and some bass. At higher volume highs/treble gets harsh and slightly sibilant quite fast. Thankfully you probably won’t be listening to such high volumes most of the time since that’s not healthy. The second thing is the bass. Generally, they have more of a balanced sound signature. To get pretty good bass, you need to get an airtight fit. Without a snug fit, you will think these don’t have much bass at all. You will also notice some microphonics. In this case, make sure to use the cable clip to fix the cable noise properly. You can loosen up the fit to get rid of cable noise but at the same time you’ll also lose some bass. If you’re a basshead and like good bass, these are not for you. 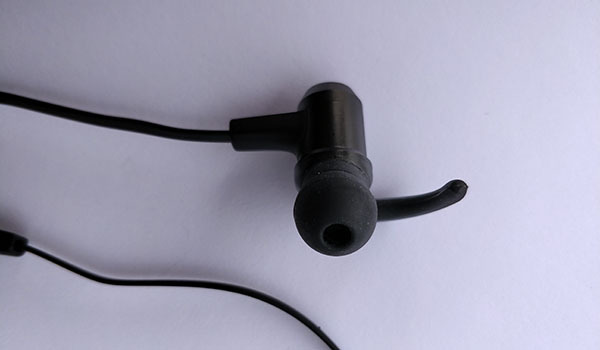 The soundstage is about average as you can expect from cheap earbuds. Overall, the sound quality is good for the price, though it can’t really compare to higher end models. Durability, comfort, fit and good sound make VAVA Moov 28 one of the best cheap wireless earbuds on the market right now.